Earnest Pletch, ‘The Flying Lochinvar’: pioneer highjacker and committer of a spectacularly pointless murder. Earnest Pletch was mad on planes and mad on flying. In itself, that was scarcely uncommon in the America of the 1930s, a dozen years after Charles Lindbergh’s solo crossing of the Atlantic turned the United States into the epicentre of everything exciting in the aviation world. Yet Pletch was a pretty unusual case. He came from a well-off family, but had dropped out of school to find work in a travelling show. He was a serial husband and adulterer who was already, at the age of 29, planning to abandon his third wife. And he had actually been taking flying lessons. Now – late on the afternoon of 27 October 1939 – Pletch was looking forward to going solo. He was not going to take the controls in the usual way, however. He was going to do so after shooting his pilot in the back of the head. 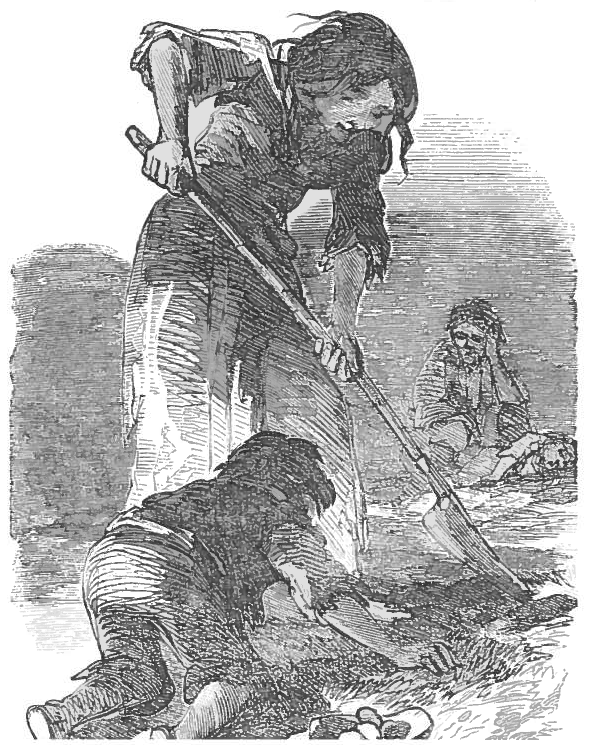 A destitute Irish family search a stubble field for healthy potatoes at the height of the Great Famine of 1845-51. 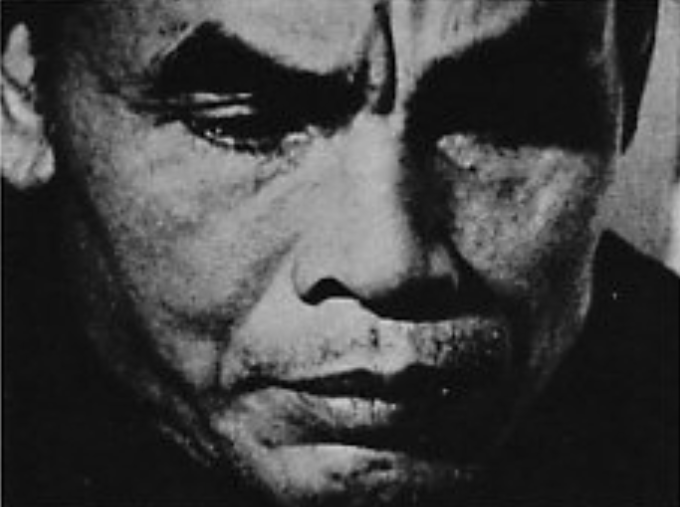 At least a million people–one in eight of the population–starved to death during the disaster. Thousands more, though, were saved by the exertions of relief funds–the contributors to which included both the Ottoman sultan and Queen Victoria. The most striking thing about the ghastly blight that ruined Ireland’s potato crop in 1845 was that the harvest had seemed healthy, even robust, when it was lifted from the ground. Within a day or two, however, rot set in. Potatoes that had looked firm and edible turned black and then disintegrated into a stinking, liquid mess. No one knew why. John Lindley, the editor of the Gardeners’ Chronicle, guessed that this “wet putrefaction” was a disease borne in from the Atlantic by torrential gales. Others thought that the blight had somehow risen up from underground, so that the soil itself was now infected. Some Fayum portraits, dating collectively to the period AD 70-250. The numbers refer to discussions in the text. She is very beautiful. Her face is flawless: long and olive skinned, the nose long too, but neat and narrow, the brows crafted, the chin just firm enough to suggest a certain liveliness of character. She has dark hair, and one gets the distinct impression that it has potential for unruliness, but it has been called to order and fashionably styled, cut short over the ears in order to display expensive jewellery. A half-smile plays about her lips, and it does not seem too much to read a hint of amusement into her large brown eyes. 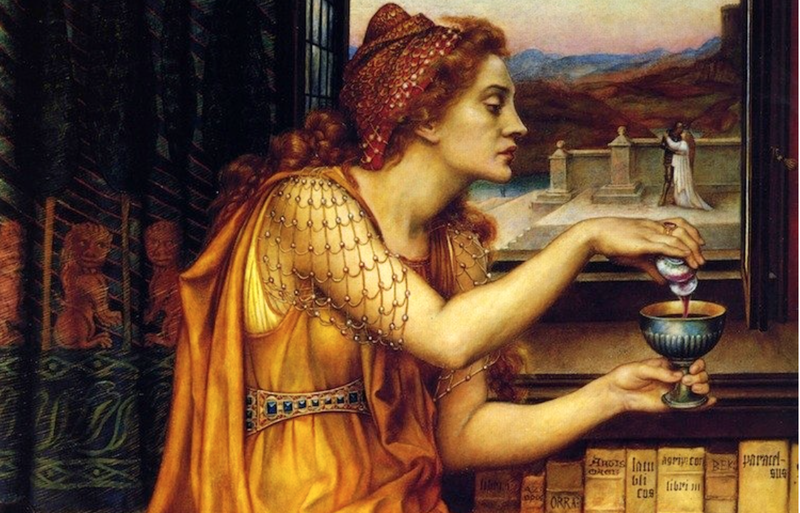 It is easy to imagine meeting her at some elegant affair, for she seems alive – yet she is dead, and has been dead for rather more than 1,800 years . Prince Klaas lashed to the wheel – the image on display at the Museum of Antigua and Barbuda in St John’s, Antigua. The story of Prince Klaas, the rebel slave, is one of the highlights of the charming Museum of Antigua and Barbuda in St John’s, which I had the chance to wander around in December 2012 while doing some lecturing in the Caribbean. Slave revolts have been an interest of mine for years, and I was familiar with the outlines of Klaas’s remarkable story – which I wrote up for the Smithsonian at the time (causing a certain amount of upset in Antigua itself among people who don’t seem to have actually read the article very closely). But I had never seen a picture that purported to show him, and in fact it’s vanishingly rare for images of slave leaders to survive from so early a period as the first half of the eighteenth century. So when I discovered that the museum displayed a drawing of Klaas, naked, strapped face down to a wheel, and being lashed, I snapped it and later used it as an illustration in the essay that I wrote. I felt a little bit uneasy about this. There was something not quite right about the sketch. Klaas, after all, had been bound in order to suffer the appalling punishment of breaking on the wheel – a form of execution that involved the systematic pulverisation of the victim’s bones that is, in effect, a form of crucifixion. Yet the drawing showed Klaas being whipped, not shattered. 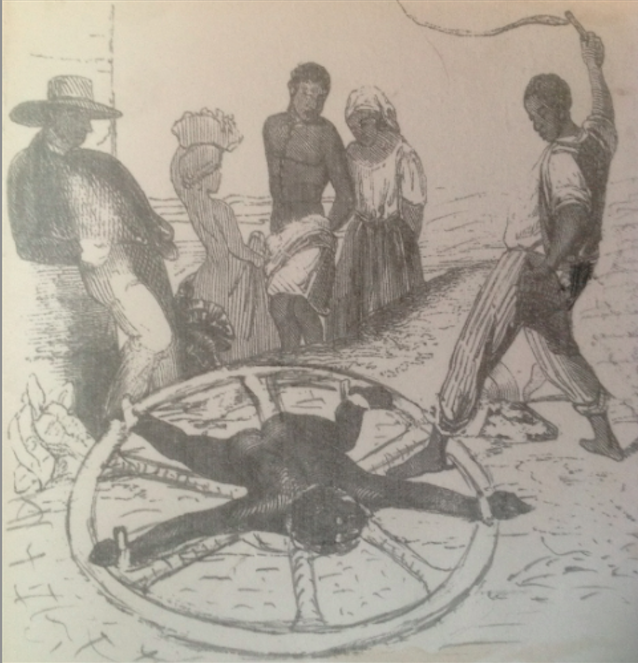 The wheel that he was strapped to seemed to be lying on the ground, when in reality it would have been mounted on an axle, the better to rotate the victim to face the executioner’s blows. The man administering the punishment was black, implying that he was the overseer on a plantation, not an executioner employed by the Antiguan government. And the artist had depicted only a handful of spectators, not the substantial crowd that watched Klaas die.